I have always been a big fan of the SkinCeuticals Phyto Corrective Gel and I must be honest I am not sure if it is the green colour, the botanical medicinal smell or the calming effect it has on my skin and the way it makes my skin feel after each use that makes me love this product. It might be all four but from the very first time I used the Phyto Corrective Gel I liked its refreshing smell and its skin effect. So, I am excited to try out the brand-new arrival from SkinCeuticals: the SkinCeuticals Phyto Corrective Masque. I will keep you updated with a product review video soon. From external aggressors to post-procedure downtime, skin can be affected by a multitude of factors, including sun exposure, facial extractions, dry weather, chlorine, salt water, retinols, astringents, clinical procedures, and environmental aggressors. All of these catalyst elements can lead to a state of temporary skin reactivity resulting in the appearance of redness or blotchiness, dullness, and even tightness and dehydration. 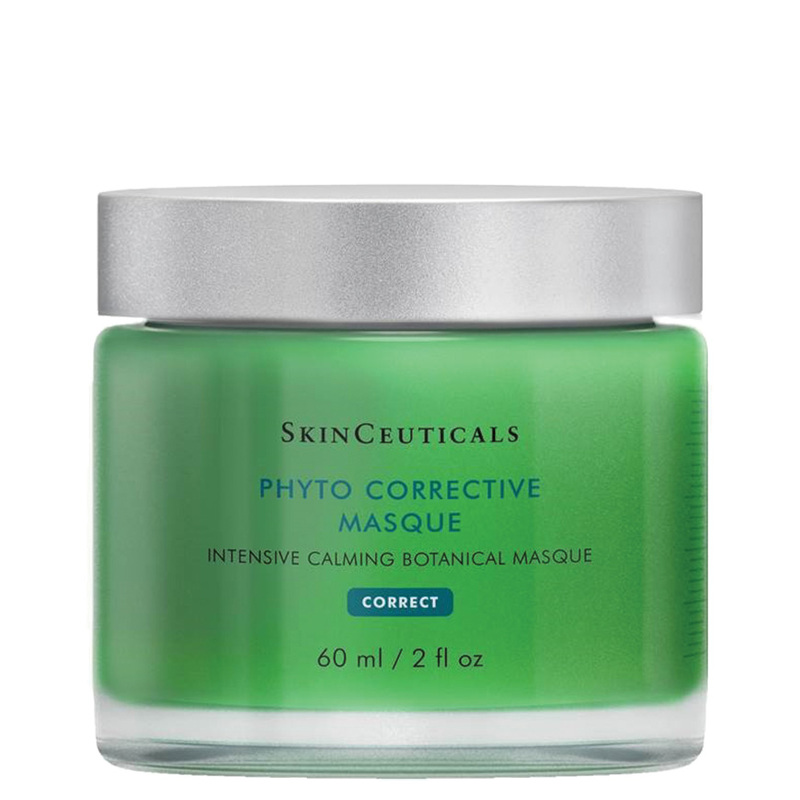 Phyto Corrective Masque contains highly-concentrated botanical extracts, a calming dipeptide, and hyaluronic acid to intensively soothe and replenish temporary skin reactivity. This intensive calming masque cools on contact, comforts skin sensitivity, and restores natural radiance and smoothness. 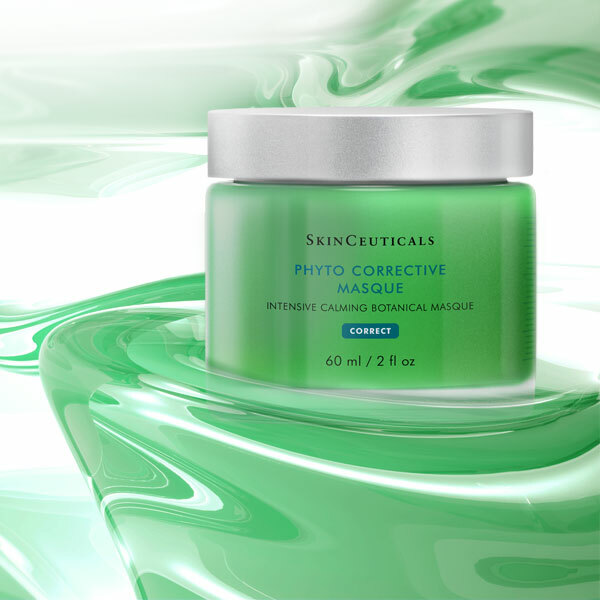 Phyto Corrective Masque has been clinically tested post-procedure to effectively reduce visual redness and discomfort. as needed. Apply post-procedure as indicated by a physician. Study Protocol: 4-week study on 54 females ages 18-70. Phyto Corrective Masque was applied for 15 minutes and rinsed with water. Subjects used masque 3x per week. 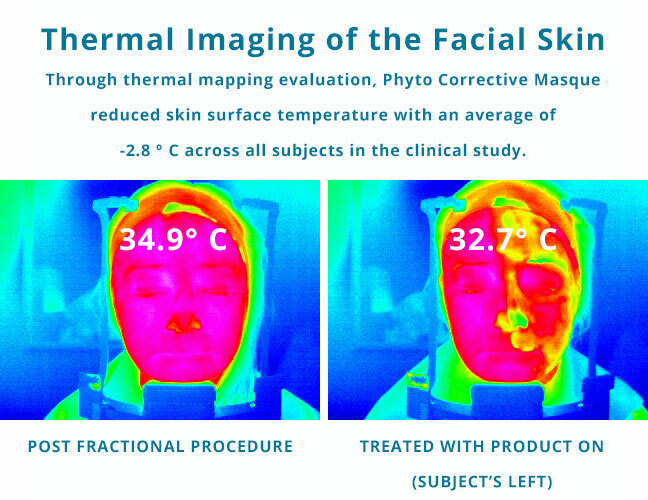 In a split-face post fractional laser clinical study, Phyto Corrective Masque showed a statistically-significant reduction in visual redness and discomfort post use. I hope you have found the introduction to the SkinCeuticals Phyto Corrective Masque interesting and helpful.